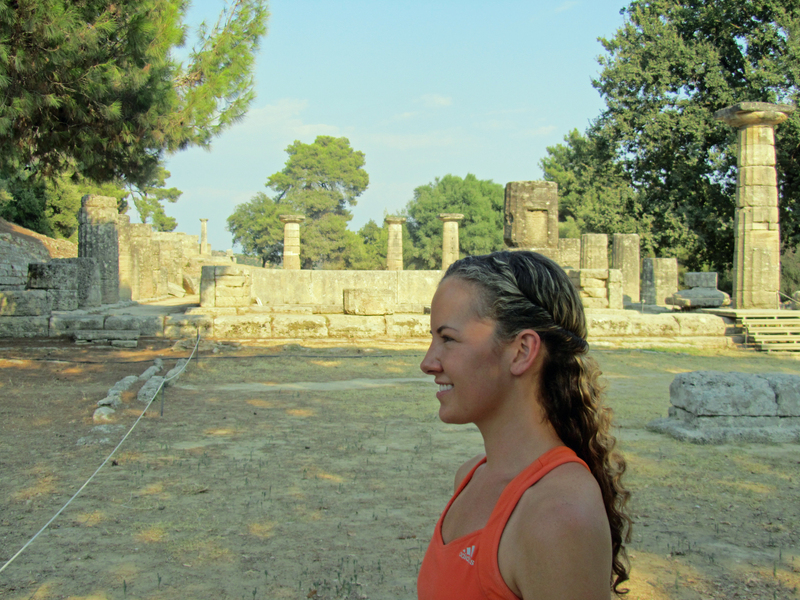 A couple of years ago, while traveling through Greece, Kayla and I visited Ancient Olympia, the birthplace of the Olympics. 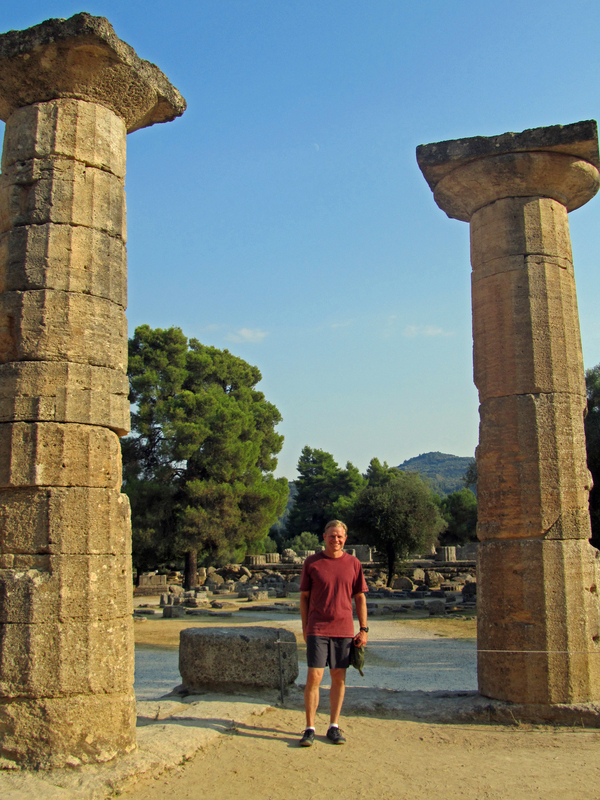 The first Olympics were held there in 776 BC. The games were meant to honor Zeus, but really the Olympics were a celebration of the highest ideals, the perfection of physical forms. It was the golden age of Greece. 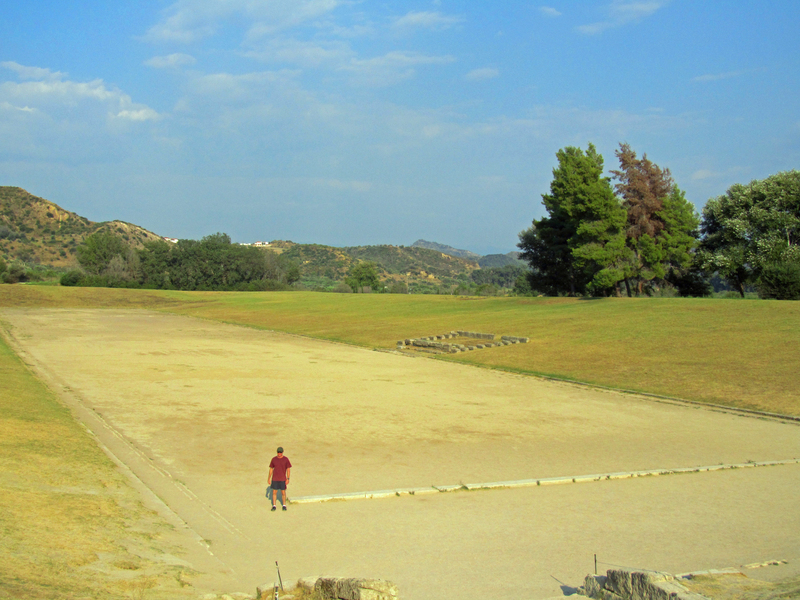 The ancient Olympic arena was about the size of a Texas high school 4A football stadium. More than 50,000 people descended on this arena to watch the four days of games. The stadium featured stone bleachers, refreshment stands, and even luxury boxes for the richest citizens and the leading politicians. The best land of the stadium was dedicated to the temples of Zeus, and some of the original columns and statues still stand in their marble-chiseled glory. Kayla and I had the entire Olympic ruins to ourselves for two full days, and we hardly saw another person as we explored the history of the site. We exercised in the stadium, and I love the pictures of Kayla racing across the field. But she would not have been welcome there in ancient times. If a married woman showed her face at the Ancient Olympics, even as a spectator, she would have been stoned to death on the spot. 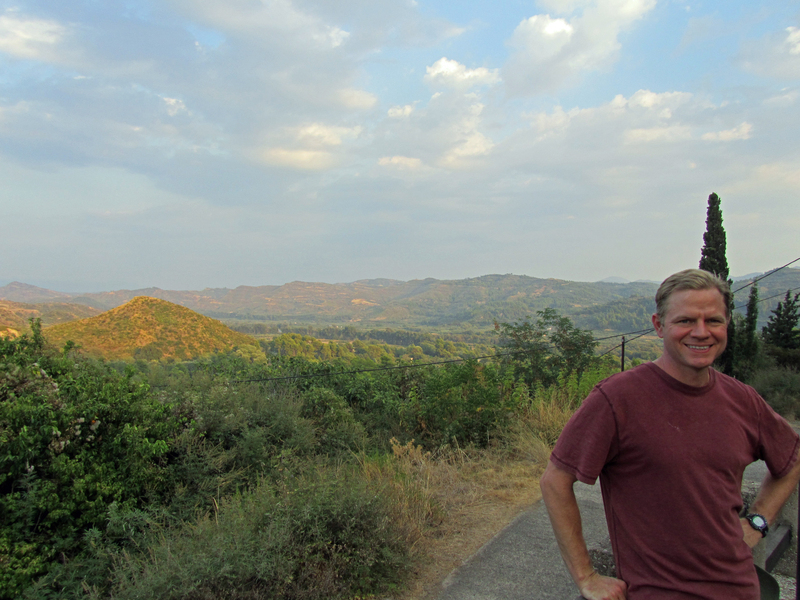 Ancient Olympia was, and still is, a tiny isolated village surrounded by barren rocky hills. Every four years, a sacred truce was declared throughout Greece, and the teams traveled to the games. The competitors trekked for many miles to the games, some for hundreds of miles, loaded down with their baggage, food, and flocks, and some traveled by sea in tiny boats. The food had to last the long journey to the games, the competition and the feast that followed, and the trip home. There was no food or crops available to the teams anywhere around Olympia, not even forage for the flocks, so the teams had to pack and bring everything they needed. The teams spent years perfecting the diet of the athletes and planning the logistics of getting the food to the games. Farmers played a critical role in this process. The ancient Greeks did not have tomatoes, peppers, corn, potatoes, chocolate, or many other foods. These crops would remain exclusive to the New World for another 1,500 years. And even after Alexander the Great conquered Persia, it took a long time for the Silk Road to reach from China all the way to Greece. The fruits of the Orient were slow to find their way into Greek soil. I wanted to know what the original Olympians ate. For ancient Greeks, food was fundamental to life. Food connected the soul to the soil. In the Iliad and Odyssey, Homer’s descriptions of his warriors nearly always told of the crops or livestock of the warriors’ homeland. And the timeless discourses of Socrates, Aristotle, and Plato were reasoned out around tables of food and wine. The philosophy of the Western world was literally invented through mouthfuls of mutton, fish, olives, and figs. In modern times, Olympic nutrition is a science. But diet was just as important to the competitors of antiquity. In the next episode, we will explore the diet of these ancient Olympians, and find out how the perfection of food made possible the perfection of the human form. « Join Me next Tuesday, Feb 4, at 7:00pm, at the South Texas Botanical Gardens! Thank you for all your photos and articles . . . and for sharing your wealth of knowledge. Thank YOU so much for your nice comment! I hope you guys are having a wonderful day! All the best to you! The difference between what you’ve shown here and Sochi – or Olympics generally over the past years – couldn’t be more stark. I’m not opposed to glitz and glamor. But organizational corruption, the use of professional or state-sponsored athletes and the occasional misuse of science in the training of athletes cast pretty long shadows.It’s too bad they sometimes overshadow the skill and dedication of the athletes themselves. I had no idea of the need for the original Olympians to carry their food with them, and so on. I’m looking forward to the next post.